OK, so I have a slight obsession with zucchini. 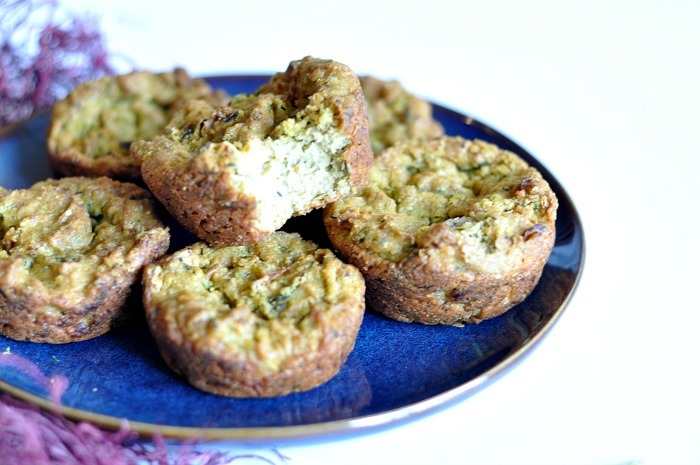 I promise you that these vegan, gluten free zucchini biscuits are the bomb.com though. Zucchini tends to get a bad rap because it is a “nightshade vegetable”. Meaning they bloom at night and don’t need the sun to grow. For some that have an autoimmune disease or digestive issues, nightshade vegetables can be downright hard to digest. For others, eating veggies like eggplants and zucchini is just like eating any other type of vegetable; a nutrient dense experience. 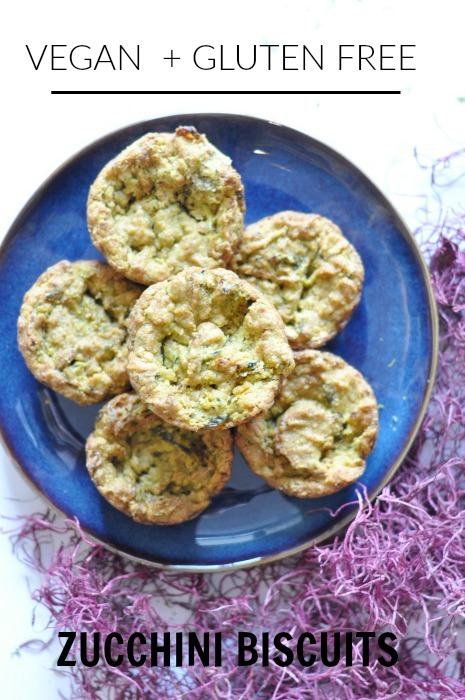 I’ve also made some scrumptious zucchini based recipes in the past like: zucchini pasta & zucchini boats My vegan gluten free zucchini biscuits contain vitamins and minerals like: Vitamin A, C, E, K, calcium, folate, Omega 3 & 6 and protein. Oh and guess what, all these vitamins and minerals are superb beauty boosting nutrients that can help keep our skin supple, hair shiny and strong, and nails unbreakable. As with many biscuit recipes they call for flour, butter, salt, and pretty much all ingredients that will make our blood sugar spike through the roof. As some of us know, this then causes baby Mount Rushmore’s to pop up on our face or carby induced fatigue that will make us blow off all the important things we have to do for the next hour. No bueno, I say! Of course, this one is gluten free and a healthy substitute to a traditional comfort biscuit. I would also say it’s a mix between a biscuit and a muffin, since they are so dense (and sooo yummy). I used gluten free Oat Flour from Bob’s Red Mill (which works perfectly fine and just like regular flour), and non-dairy butter (Earth Balance). Still ended up with a pretty darn close taste to a regular biscuit muffin hybrid. 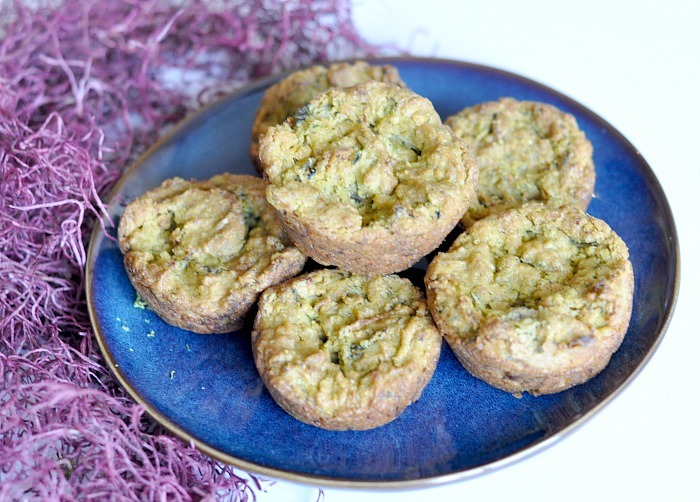 These are also perfect to make in large quantities and to take with you when you’re on the run. I find it difficult to sustain any sort of healthy eating intentions while hopping from place to place throughout the day (like many of us do), so I always make sure to make some sort of plant friendly snacks to stash in my purse with me throughout the week. If my Sunday was filled with laying in starfish position in my bed instead, I’ll opt for other easy alternatives to eating healthy on the go by using delivery apps like Eat Purely or I’ll order smoothies and juices from my favorite local places like Snap Kitchen or Protein Bar by using this new app Ritual. There you have it! What other types of plant based versions of classic recipes do you want to see on Balanced Babe? Share with us in the comments below! Just made these, and they are way too gooey- even after baking for WAY longer than recommended. I even did some in a mini muffin tray, but they are still undercooked. Possibly my zucchini were too large? Did you squeeze out liquid from the grated zucchinis? Flavor is pretty great, but they just aren't setting up. Any direction would be great, as I'd love to make these work! Hi Allie! Your zucchini's may have been too large for sure - the ones I used were between small/medium size (I'll go edit the post to reflect that - as now I'm realizing zucchini's can come in all shapes and sizes!). I would also make sure if you're washing them to dry them off completely to prevent even extra moisture. If you have a Trader Joes near you - they have packages of zucchinis which are the ones I used and will come in the size that I used for this post. I hope it helps! !